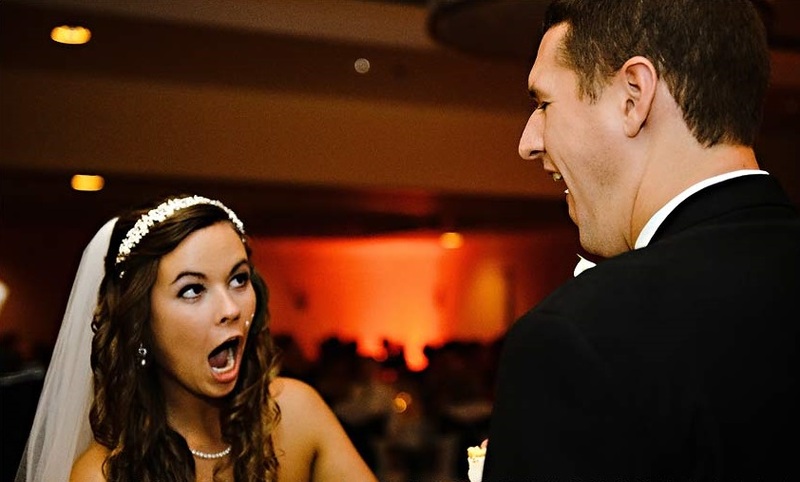 The embarrassing thing that happened at my friend's wedding! After 15 years of marriage, my friend decided to leave his wife for his high school sweetheart. He recently had rekindled his relationship with her when they both were on the committee planning their high school reunion. He could not get divorced fast enough. The wedding to marry his high school sweetheart was literally a few weeks after the divorce was finalized. Everyone at the wedding was heartbroken for his two teenage daughters who watched in tears as he had his first dance with his “new” wife. For his youngest daughter, it was too much to bear. She literally ran out of the wedding reception, bawling on top of her voice with family members running after. As if that was not bad enough, at some point during the wedding the groom decided to ask the DJ for the mic for a special speech. For whatever reason the seemingly happy groom had decided to make his speech talking in third person. Immediately, there was an audible gasp from all the guests. Well, his new bride's name is Loraine. Macy, is the name of his now ex-wife. He immediately tried to correct himself but the damage was done already. The guests' wide-open mouths and his new wife’s face said it all.